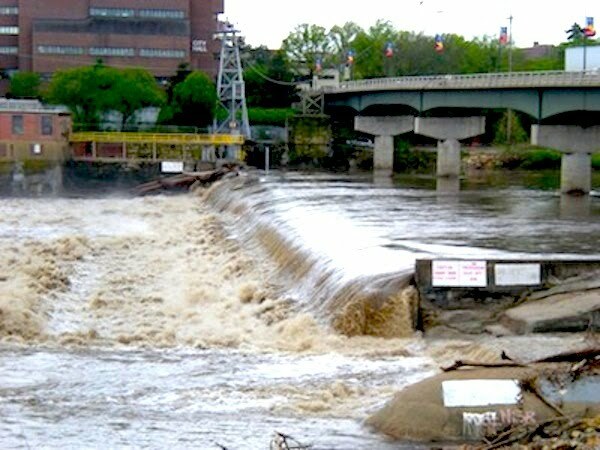 The first access is 1.4 mile downstream at the 8th Street Ramp. Boaters may paddle upstream from that access to the area below the dam easily. Boating within 200 yards of the dam is dangerous and not advised. The first access above the dam is River Front Park at river mile 54.1. Boating between this access and the dam is not recommended. To print this page use button found at the bottom of this page.